Tarleton’s international program is taking steps to increase the number of international students on campus after flat enrollment for the last five years. Dr. Marilyn Robitaille, the director of international programs and study abroad, said “an increase in the number of international students will enrich the culture of the university. “The university is taking steps to target international recruitment,” she said. The international office is scheduled to open an English as a Second Language, or ESL, center in January. The center will be a bridge program to help foreign students learn the English language before entering the university. According to enrollment records this semester, Tarleton is hosting 91 foreign students from 23 various nations. 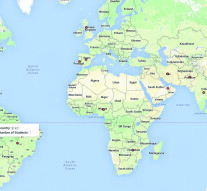 This map shows the home countries from Tarleton’s foreign students around the world. Some of the students came through exchange agreements with their home institutions. Some came on golf and tennis scholarships. Robitaille said two factors explain why the number has remained consistent. The Killeen campus changed to Texas A&M University- Central Texas in 2009. The foreign students who were enrolled at that campus were counted in Stephenville’s enrollment before the Killen campus split off. The second reason is an institute in Gurgaon, India, which had an exchange agreement with Tarleton, became Ansal University in 2012. Tarleton used to receive a large number of students from Gurgaon before the transition. More Indian students are obtaining their degrees at home instead of traveling abroad, thus causing the amount of students to be about the same as before. The international program already does much to aid international students, said Piyush Aggarwal, a graduate student from Rewari, Haryana working on a Master’s of Business Administration degree. “The international office is very friendly and helpful,” said Aggarwal. “They help us by using a shuttle system so we can get groceries because we do not have a car.” They also take students on multi-cultural trips that are cheap and fun. The trips are to Austin, San Antonio, and other cities. Not only would the international office aid foreign students, but they would also like for the students to volunteer to help. Robitaille hopes steps and programs offered will attract more international students in future years. For more information about the global diversity on campus, attend International Week, Nov. 17-21, or log on to the Tarleton international programs website.